Pumps - Topshop I was looking through my photos on my laptop and realised I'd never uploaded these! I have been obsessing over midi skirts for so long now and this grey one from ASOS is one of my favourites. I'm loving this leather look jacket from Miss Selfridge It's so practical and goes with any outfit! 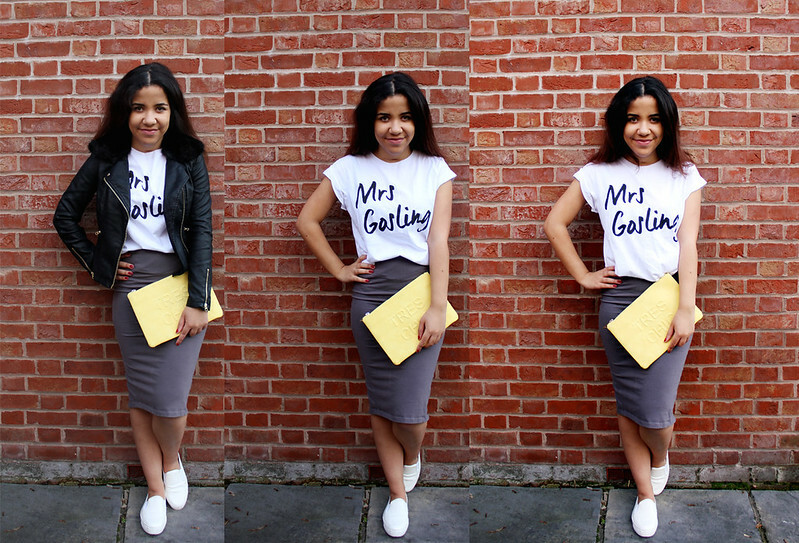 I love how you styled this skirt with the bright clutch ! EPIC makeup revolution giveaway ! Over 150 shades to win !